She’s a former Top Ten pick, with a literary pedigree and Hollywood glam to boot. Is it time to bring her back from obscurity? 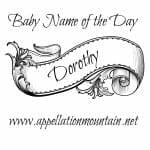 Our Baby Name of the Day is Ethel. Before you dismiss Ethel as too, too clunky, consider this: Ethel’s heyday was the 1890s. We’re wild for some of the names from that era. There’s Emma and Clara, Alice and Ruth, Mabel, Hazel, Pearl, and Grace. The Top 100 from the 1890s feels more fashionable to many parents than, say, the Top 100 from the 1960s. Plus, we’re still in the process of rediscovering many a turn-of-the-century star. Edith and Elsie, Esther, Hattie, and Cora are all staging comebacks. Ethel comes by her clunky sound naturally. She’s the rare Old English name still in use. Except, strictly speaking, she was an element used in many an Anglo-Saxon name. Think of Æthelred or Æthelwulf and the Germanic Adalheidis. Ethel never stood alone, at least not back in the day. Etheldred had a brief resurgence in the eighteenth and nineteenth centuries, at a moment when parents were reconsidering Anglo-Saxon oldies like Alfred. First came William Makepeace Thackery’s The Newcomes, in 1855. The main character is called Clive. His cousin Ethel is his love interest. The Newcomes hasn’t held up nearly as well as Thackeray’s Vanity Fair, but it was well-known in its day. In 1856, Charlotte Mary Yonge published The Daisy Chain. She, too, chose the name a main character. Ethel May’s full name was Etheldred. The novels must have inspired some parents, as Ethel starts to pick up in use right in the 1850s and 60s. 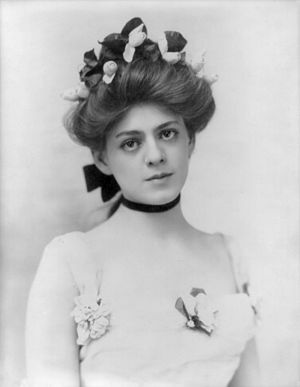 Broadway and Hollywood star Ethel Barrymore was named after the character in The Newcomes. 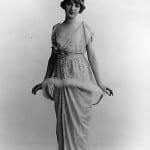 Barrymore first appeared on the stage in 1895, but by the time she’d made her name a few years later, Ethel was already starting to slide out of the US Top Ten. President Theodore Roosevelt’s younger daughter, Ethel Carow Roosevelt. She was active with the Red Cross, serving as a nurse in World War I, and later becoming active in historic preservation. Ethel Skakel married Bobby Kennedy. She’s known for raising the couple’s eleven children after her husband’s assassination, as well as political involvement throughout her life. During the 1950s, I Love Lucy was a smash hit, and Lucy‘s neighbor, BFF, and partner in hijinks was Ethel Mertz. In 1981, Katharine Hepburn won an Oscar as Ethel Thayer in On Golden Pond. By the time Hepburn accepted her Oscar, Ethel had been out of the US Top 1000 for a few years. She hasn’t been back since 1975, and just fifteen girls received the name in 2012. 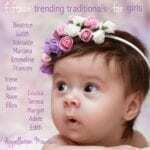 In 2011, British pop star Lily Allen named her daughter Ethel Mary. She’s also a Downton Abbey name, putting her in the company of Cora and Edith and George. Plus, Ethel could shorten to Ettie or even Ellie. If you’re after a familiar name with history that your daughter won’t share with another girl, or if you’re heartbroken that Olive and Mabel are on the rise, Ethel might just be the name for you. Ethel, for some reason, reminds me of ashes in an old-fashioned fireplace. I’ve got synaesthesia and all names beginning with E are the colour of brown wrapping paper, but this does not automatically rule them out – I adore Elizabeth, for example, and like Estelle and Esther. The fact that Ethel’s sound has “death” in it makes it totally unappealing. I had a much older colleague called Ethel who was very nasty – her full name was Etheldreda. 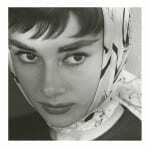 I’m fond of Audrey, its compact form, so long as I don’t let her enter my head! Ethel has really started to grow on me. Alexia Maccon affectionately dubs her little gun Ethel in the Soulless series. I can definitely see some hip girls rocking “old lady” names like this in a few years and giving them a fresh vibe.